Gardeners of all stages are always on the lookout for the best garden bed to fit their needs. Our favorite garden bed ideas come in three types: containers, in-ground, or elevated. Many factors come into play when it's time to choose the style best suited for you. Some of these include setting, soil type, space, and goals. What works for your neighbor may, after all, not be best for your needs. 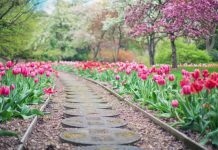 However, after careful research, we have come up with some of our favorite garden bed ideas that will make almost every gardener happy. The best choice of garden bed depends on plant type. The bed that works best for tomatoes may not be suitable for more vine-like plants such as melons. All three types of beds could be needed based on your harvesting goals. There are pros and cons to every bed: we have broken those down for even the most novice of gardeners. Some plant enthusiasts are unable to use specific beds based on living conditions. Better knowledge creates better crops and experiences. The most traditional style of gardening takes place in an in-ground garden bed. This type of bed is exactly as it sounds: crops grow directly from the ground. It is, by far, the most inexpensive way to garden. If you are on a tight budget, this is the only way to go. These beds are level with the soil surface, so they are not always practical for those with mobility issues. Gardening in this manner also requires land, so this style may not be feasible for city or apartment dwellers. The most significant benefit of using an in-ground garden bed is that very few materials are needed. The preparation of initial rows is the hardest part of this gardening style as long as the soil is rich in nutrients. However, even with nutrient-poor soil, you can create a great in-ground garden bed. The use of compost and different fertilizers can create soil capable of growing beautiful crops worth eating. In-ground beds are also simple to rearrange if the original arrangement proves to be inefficient. Unfortunately, there are not many options for purchasing in-ground beds. Manual labor and a do-it-yourself spirit create them. If the soil is good, preparation and planting should take minimal work. At ground level, it is harder to keep out garden pests like rabbits, moles, and gophers. There are many different options when it comes to pest proofing. One of the simplest ways to keep rabbits and other pests out of your hard-earned crops is a product called Liquid Fence. This all-natural deterrent's main ingredient is putrescent eggs. While it won't harm your plants in any way, it will assault potential pests' sinuses in an attempt to keep them away from your tender vegetation. We realize that in-ground garden beds are not possible for everyone. Other types of garden beds are available, and may be more suitable for your individual needs. One of the most excellent ideas in gardening is growing food in containers. Containers revolutionize gardening for many people. This idea gives both city and rural residents the chance to have fresh produce at their fingertips. The availability of yard space does not restrict container gardens. You don’t even need a yard. It is possible to have a sizable number of plants growing on a balcony or a window sill. 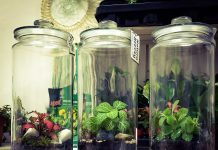 Although the idea is simple, there are certain things to keep in mind before filling your apartment with varying-sized containers. Many different varieties of plants can grow in the same pot. Companion planting in containers is a popular idea that produces high yield and makes gardening a possibility for most people. Container garden beds are best for vegetables like potatoes, lettuce, cherry tomatoes, peppers, squash, and herbs. When combining different types of plants in one pot, keep the plants' needs in mind. Plants with similar needs should be planted together. To save space, consider combining shorter plants with trailing plants. These types of combinations will give you more bang for your buck. For a comprehensive guide of companion growing and soil needs, visit The Old Farmer's Almanac. It has been an excellent resource for over 200 years. Some people get creative and go a do-it-yourself route when using containers. 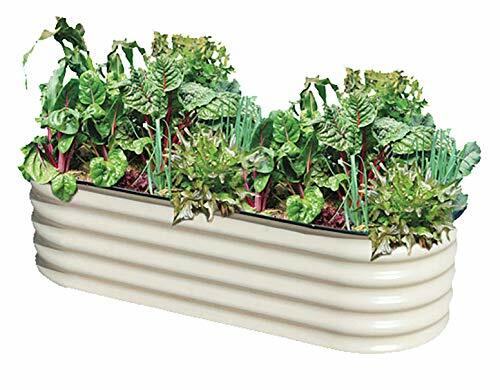 Old bathtubs, wading pools, and five-gallon buckets have been used to grow herbs and vegetables. 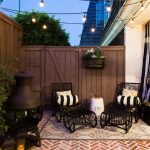 Whether you're looking for unique or practical containers, the most important thing to consider is drainage. Root rot can easily happen with no drainage system in place. We narrowed down our favorite do-it-yourself container bed after hours on the web. These containers are for gardeners on a budget. Reusing varieties of plastic buckets is super easy, cheap, and just good for the environment. Kitty litter buckets, old storage totes, and plastic coffee cans all work well for a variety of crops. For drainage needs, merely insert some holes in the bottom of the container with a drill. Even if you don't have a drill, you can create a hole by heating something sharp, like a nail. You can easily create drainage holes in these DIY planters. Perhaps the most significant part of this idea is that all these containers come with lids. If you turn the lids upside down and place your newly repurposed containers directly on the inverted lid, you have a system for storing any excess water from watering. Not everyone is good at arts and crafts. For those of us who aren't on a budget and couldn't drill a hole in a piece of bread, there are self-watering containers you can purchase. These containers have built-in water reservoirs. This watering system uses capillary tubes to deliver water from the built-in reservoir to keep plant roots consistently moist. This is minimal work at its finest. Plus, the end result is the same as if you had put in a lot more hard work. These containers can be purchased online or at any home improvement store. 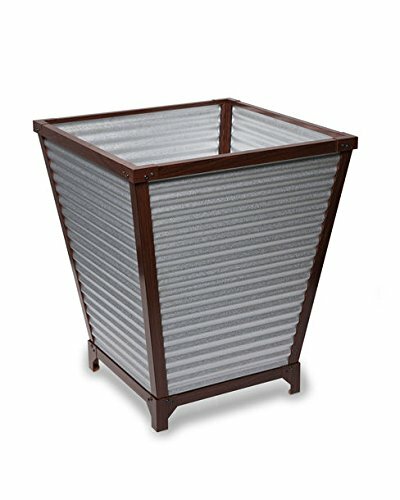 The first self-watering galvanized planter! By far, the most popular garden bed at the moment is the raised, or elevated, bed. Browse Pinterest, and you will discover hundreds of boards dedicated to the raised garden bed. A huge factor in its popularity is the convenience of a raised bed. Elevating the bed makes it more convenient to tend to the plants. Pulling weeds and checking the moisture of the soil is so much easier. The higher elevation makes for easier access. Traditional garden beds are still popular and used by many, but for others, plants at ground level prove to be too much back-breaking work. Those with physical disabilities and limited mobility are more likely to begin or continue gardening if they can do so from an elevated surface. The height of your raised bed is completely up to you. Raised beds are not the same as garden planters. Planters are just elevated containers with bottoms to prevent soil from falling. This variety has slatted planter bottoms, with a semi-permeable cloth barrier which permits drainage. 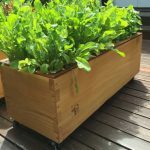 However, raised beds do not have bases; they are open to the ground, which offers the benefit of allowing plant roots to go further into the ground for available nutrients. 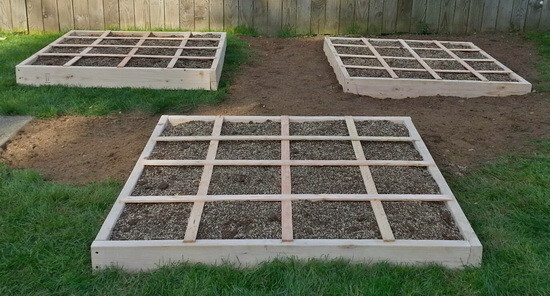 There are unlimited numbers of ways to create these raised beds. Raised soil level also keeps out critters you don't want to destroy your crops. 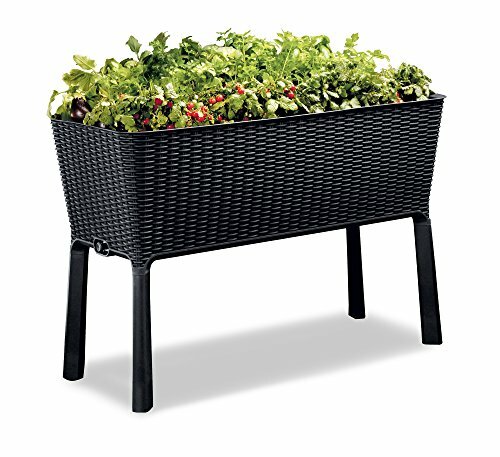 Pest prevention is much easier with these types of planters unless your pests are deer. Use preventative mesh or netting, in the case of tall garden pests. Netting material also protects berries from hungry birds. The square-foot gardening technique is one of our favorite raised garden beds. Simply carve out a square shape, create square-foot squares within the initial square, and begin gardening. The method is a great way to build a small yet intensively planted garden. You can also recycle by using scrap wood. Use any cheap wood that has not been chemically-treated. These chemicals can leach into your soil, effectively killing your new garden. Complete tutorials can be found just by performing a search on Google. Galvanized steel raised beds are the best way to go when purchasing a raised garden bed. These beds arrive at your home in easy-to-assemble kits. Using reflective material produces a greater crop yield according to research. 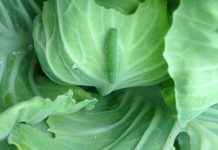 Benefits include improved fruit color, more even maturity among plants, improved flowering, and increased vegetable size. Who doesn't want bigger and more plentiful vegetation? There are many options and sizes when it comes to using galvanized steel. All you have to do is purchase the size that works best for your space. The taste of a home-grown vegetable is always the best. At times, produce is grown hundreds of miles away from the source of purchase. This results in less-than-fresh food that should be nourishing our bodies. Although gardening can seem impossible for beginners, it really is a simple process. Even with no yard, a porch garden or windowsill herbs can bring you the freshness you crave. The results of your individual gardens may be surprising. Don't let our suggestions limit your planting visions. Using our research along with your own will help you come up with your best gardening experience.